Donald: Saad. Saad: Donald. Consider yourselves e-introduced. Saad is one of the Muslim refugees you wanted to bar from the United States. He resettled here in 2015, and now you'll find him cruising the casino floor most evenings, headed to the kitchen to wash dishes in a hotel restaurant. It's not as intellectually stimulating as his work as a UN translator for refugees from Libya, but he gets $13.25 an hour. With a union job, he supports his wife and son in a motel-style, one-bedroom apartment where they regularly pull bugs off of the walls. As we walk by the Bellagio fountains, he reminds me of the people who work at your hotel, without job security as they struggle to unionize. Saad is from a small village in Darfur, with mud huts and donkeys and - yes - even more Muslims. "I would never have left before 2004," he tells me from his couch in Las Vegas, "We had nothing, but we were happy." As roofs were razed and women were raped, the government gave Saad a choice: join the Janjaweed that attacked his village, or go to jail. He fled across the northern border to Egypt, only to find that Arab-African racism doesn't obey national boundaries. One year later, 20 Sudanese refugees were killed by Egyptian police while protesting a dysfunctional resettlement system. 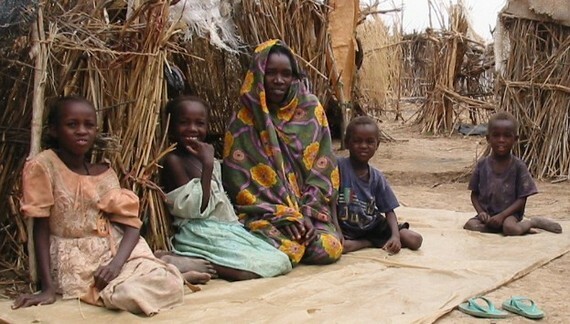 Internally displaced persons camp in Sudan. According to the UN Refugee Agency (UNHCR) procedural standards, an asylum seeker must receive an interview for refugee status within six months of registering. Saad filed for refugee status in 2004, the same year you wrote How I'd Run the Country (Better) for Esquire and recorded the elusive Donald Trump's House of Wings for SNL. While waiting seven years for his interview, he worked as an embroiderer, making enough money to finish his bachelor's degree. He trained in conflict resolution and went on to teach several cohorts of conflict resolution courses. He excelled in English classes at a school for refugees, where I first met him. 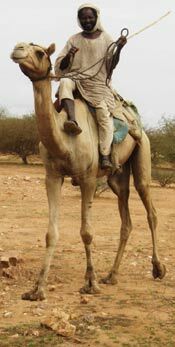 In 2010, Saad returned to Darfur. New refugee camps lined the border of his village, a dynamic sea of colorful toobs (traditional Sudanese garments) ducking into makeshift homes. His father had died. His neighbor was killed. Armed with a camera, he captured happiness in an environment of fear: seven men sharing breakfast, his brother's family in front of their home. The green "Save Darfur" signs were gone from American pickets, but the conflict in the sand was vicious. Regular village burnings continued, and the Janjaweed became de facto rulers. Crops were pilfered. In a particularly enterprising move, the Janjaweed confiscated all cars, only to set up the only transportation system in the area and charge high fees for rides. Saad returned to Egypt several months later, sitting again at his sewing machine. A two-week gig as a UNHCR translator on the Libyan border quickly became five years after multiple extensions with little notice. He married his friend Mona and saved up money to bring her to Egypt. Unable to transfer to the UN's Cairo office, they lived together in Salloum, where women were not permitted outside of the house without male accompaniment. 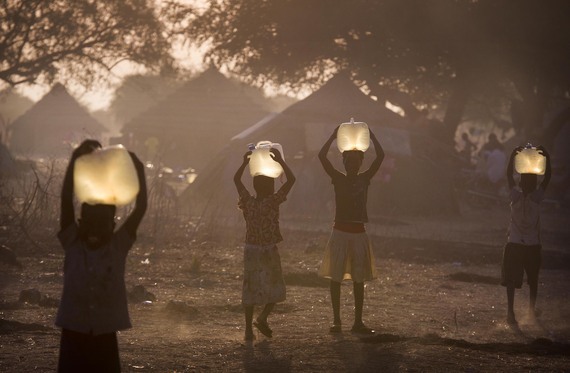 Even in Sudan, Mona had freely opened the front door, meandering outside to meet friends or pump water. I worried that they would not find what they were looking for. What happens to a person who grew up by straw and sweat, when he sees platefuls of food thrown away at a Vegas all-you-can-eat buffet? Would he discover that Sudan and Egypt's anti-Africanism, in different form, might greet him here? Mr. Trump, I asked them about you last month, as we drove down South Maryland Parkway. "That guy? He makes me laugh." Maybe after Omar Al-Bashir, you seem like small potatoes. Like me, they saw you as more of a character than a threat. Yet now that you're viewed as the presumptive nominee, I'm forced to write my husband's favorite three words: I was wrong. As it turns out, widespread targeting of an entire religious population is acceptable even here. Like you, Mr. Trump, I'm scared of Muslim extremism. I have two siblings living in Tel Aviv, and both my husband and brother served in the Israeli army. If there is an ISIS hit list, I'm not much farther down than you. But unlike the worst regimes of the 20th century, I won't respond to fear with bigotry. Take it from my people to yours: when it comes to longevity, being hated may not be the worst thing. But hating? That stuff is deadly. Saad and Mona's names have been changed to protect their families in Darfur.